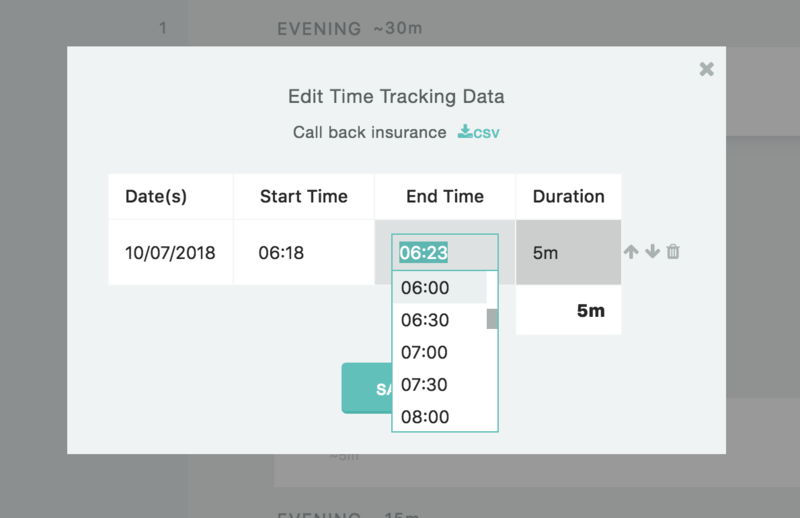 When using the time tracking strategy it can happen that you forget to start or end the time tracking so that you want to edit your data manually. 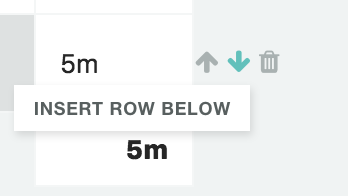 If a task is already completed, hover over it and click the clock icon to open the time track data table. To edit the time track data for an existing task, hold the shift key on your keyboard and click the "start" button on the right. 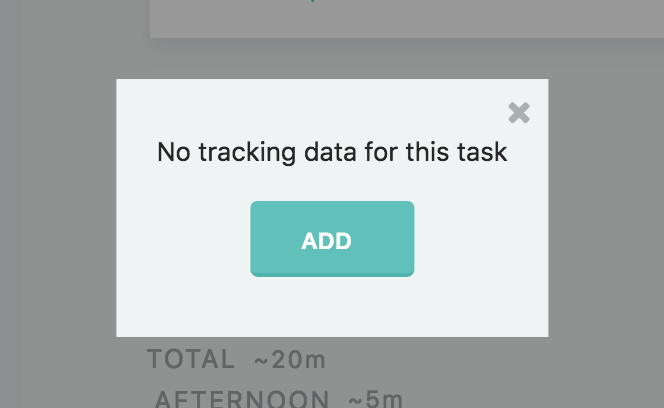 In the time track data table you can see each time time was logged on a task. The day of the logging is on the very left, followed by the start time, end time and time tracked for each tracking session. You can modify any of those data points. To add a new tracking session, use the up and down arrows on the right of a row.